Bond polarity is the electronegativity difference between two atoms that are bonded. Because of this electronegativity difference, the electrons get pulled more toward one atom. This means one atom becomes partially positive (the atom losing electrons) and the other atom becomes partially negative (the atom gaining the electrons). 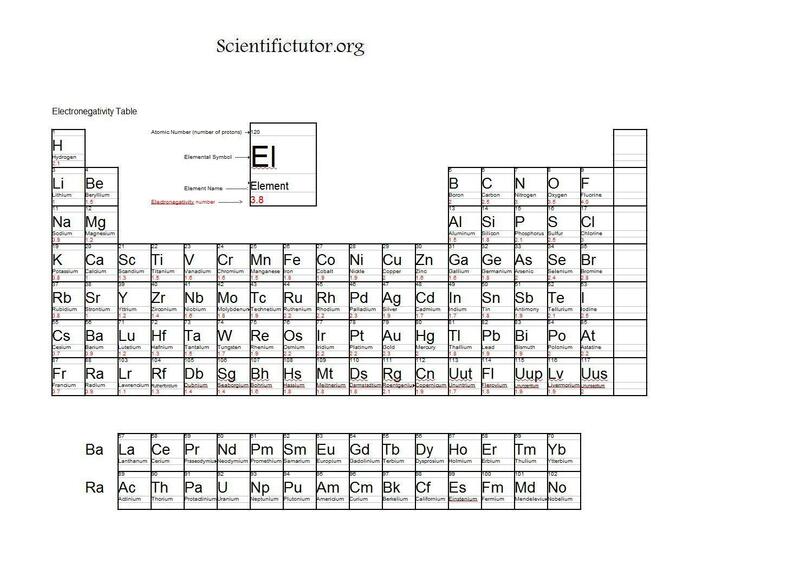 In this section you want to be able to recognize which atom has the higher electronegativity in a bond between two atoms using an electronegativity table. Examples: Use the electronegativity table to determine the polarity of the bond. Which side is partially negative and which is partially positive? VIDEO Bond Polarity Examples 1. PRACTICE PROBLEMS: Use the electronegativity table to determine the polarity of the bond. Which side is partially negative and which is partially positive?